“I will dance at your sister’s wedding tomorrow,” she told me, laughing a broad-grinned laugh that turned into a short coughing fit. She composed herself, cleared her throat gently, took a steadying breath, then looked back up at me with a more serious expression. “I will dance,” she said. And she wasn’t talking to me in that moment, with fire in her eyes. She wasn’t talking to anyone in the room, no living person. She was talking, quite definitively, to her Stage 4 cancer. She was throwing down. I sensed it shrink back inside of her. 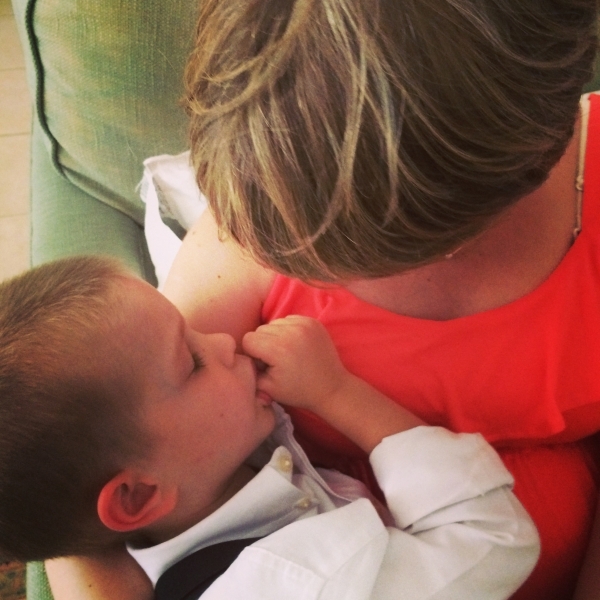 This is part of a post I wrote for Deeper Story about my sister’s wedding, my aunt’s cancer, and my love for my son. You can read it in its entirety HERE. Or, if you’re visiting these parts for the first time, you can check out a short story I wrote last Friday that might be turning into a serial thing HERE. Part two goes up tomorrow.